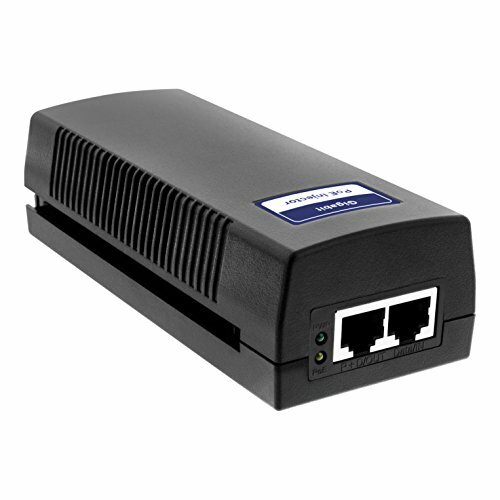 The POE-I100GL is an economical, single port, high-power 10/100/1000Mbps PoE Injector. It supplies up to 15.4W of remote power for IP cameras, wireless access points, VoIP phones, and other devices. The POE-I100GL allows you to add additional ports to your PoE switch using a Cat-5 cable (sold separately). It complies with IEEE 802.3af PoE standards and can work with 10/100/1000Mbps Base-T networking devices. If you have any questions about this product by BV-Tech, contact us by completing and submitting the form below. If you are looking for a specif part number, please include it with your message.